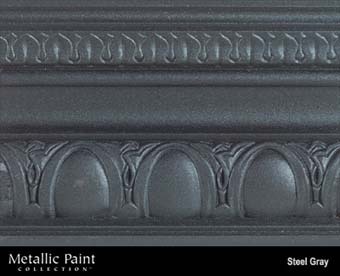 Paint Colors :: MANUFACTURERS :: MODERN MASTERS :: Metallic Paint Collection :: MODERN MASTERS METALLIC PAINT 99824 ME-244 STEEL GREY NT SIZE:6 OZ. MODERN MASTERS METALLIC PAINT 99824 ME-244 STEEL GREY NT SIZE:6 OZ. TUF TOP 10-071 TERRA COTTA FLOOR AND DRIVEWAY COATING WATER BASED SIZE:1 GALLON. MINWAX 30405 NATURAL WATER BASED WOODSHEEN SIZE:12 OZ. VARATHANE 989761 FLOOR FINISHING APPLICATOR REFILL FOR WATERBORNE FINISHES SIZE:10" PACK:30 PCS. DAP 01312 STRONGSTIK HEAVY DUTY ALL-PURPOSE CONSTRUCTION ADHESIVE OFF-WHITE SIZE:10 OZ PACK:12 PCS. DAP 27438 BEATS THE NAIL VOC-COMPLIANT SUBFLOOR & DECK TAN SIZE:28 OZ PACK:12 PCS.